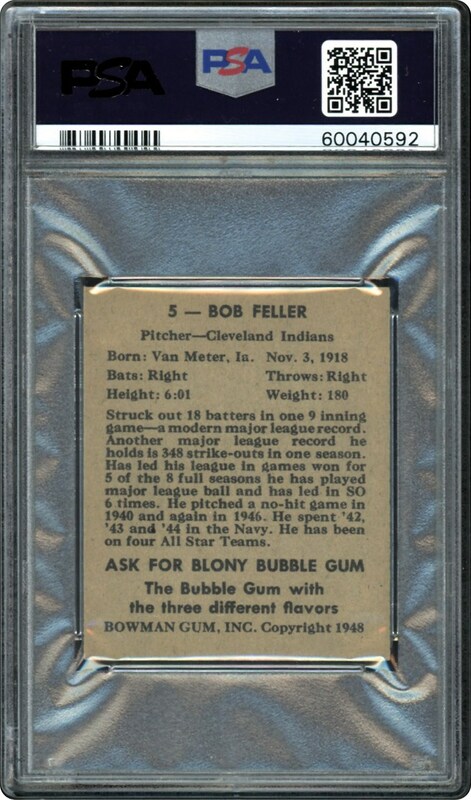 BOB FELLER!!! 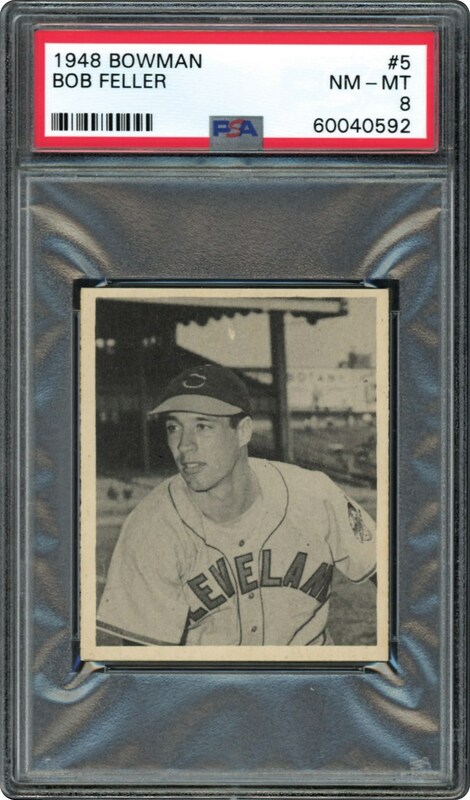 Rapid Robert on his 1948 Bowman B&W example. Just a handful grading higher than this NM-MT example from the 1948 Bowman series. One to own.